Gel coat booths are newer application of spraying Gel coat, widely used for spraying on moulds. Gel coat is a material used to provide a high-quality finish on the visible surface of a fiber-reinforced composite material. The most common gel coat is based on epoxy or unsaturated polyester resin chemistry. Gel coats are modified resins which are applied to moulds in the liquid state. Gel coat is application used in major areas where use of plastic or pp or other plastic material cannot be used due the high cost involved in the manufacturing of such plastics. Therefore Fiberglass technology plays a key role in manufacturing of large volume based light components. 1) Automobile : Automobile parts specially , Door , Trunk Lids, Wind Deflectors ,Roof For Busses And Lorries are some parts where molding of plastics is difficult to attain, fiberglass painted with gel coat gives an per level of component. Since these gel coats are to be sprayed to get a better finish, there comes a necessity of Gel Spray Booth to avoid pollution and operator comfort ability. 2) Ship building & Rail vehicles : Autocoat Engineering has already been in supply of Gel Coat Booth for companies related to ship building and metro rail and other railway projects , for components like Seats ,Roof Top , Side Body , interiors of cruise line ships and interiors other railway projects. 3) Wind energy: Autocoat Engineering with its other foreign tie-ups is proud to present Gel Coat Booths which can handle large volume based components like Windmill rotary blades and its other body parts. 4) Building and Construction: Autocoat Engineering has also developed special Gel Coat Booth for commodities like Panels, Corrugated Sheets, Light Domes and Light Shafts, Chemical L Plants Tanks, Pipes where the Gel Coat is acidic in nature. 5) Sanitary : Gel Coat Spray Booth can also be a useful equipment to customers who are into manufacturing of Washstands , Shower Trays, Kitchen Counter, etc. Dust free room with Gel coat booth is popular for high quality Gel coat finish. Bright, smooth, glossy finish and corrosion resistance. Gel spray booth has a advance filtration system. Removes styrene vapors and contains over spray for a cleaner, safer work place. Standard sizes or custom configurations for your specific production needs. Well lighted interior with smooth walls allow easy cleaning and maintenance. 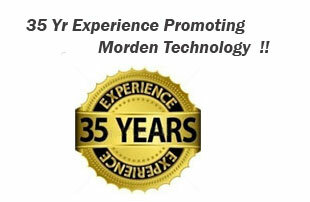 We have latest technology and design to have the maximum effect of the Gel coat on the required surface. We manufacture Gel Coat Booth. 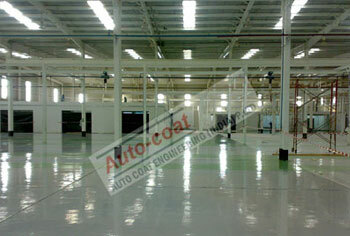 Autocoat Engineering has large experience of supplying different sized Gel Coat Booth in either India or Abroad. After the coating is completed on a component they are cured to form cross linked polymers and are subsequently dried with composite polymer matrices, often mixtures of polyester resin and fiberglass or epoxy resin with glass. Gel coat drying tunnel oven reduce the curing time by 50 % and the quality of your finished product. Also the Get Coat Drying Oven reduces the dust addition to the gel sprayed component .We manufacture the Gel Coat Drying Oven of high efficiency with less curing time. Autocoat Gel Coat Drying Oven is result of long years of experts expertise. 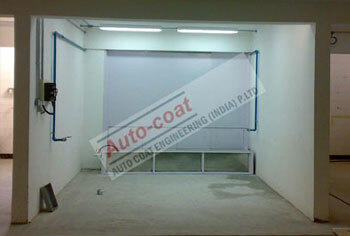 Autocoat Engineering is the most experienced Gel Coat Spray Booth Manufacturer in India since last 35 years. Autocoat Engineering have been manufacturing superior quality Gel Coat Paint Booth in India among other valuable products .We have wide experience of manufacturing Gel Coat Spraying Booth with different material handling and different product size, and different production volume.